The Lynwood City Council took time to congratulate two Los Angele County Sheriff’s Department detective for their role in making an important arrest in Lynwood. 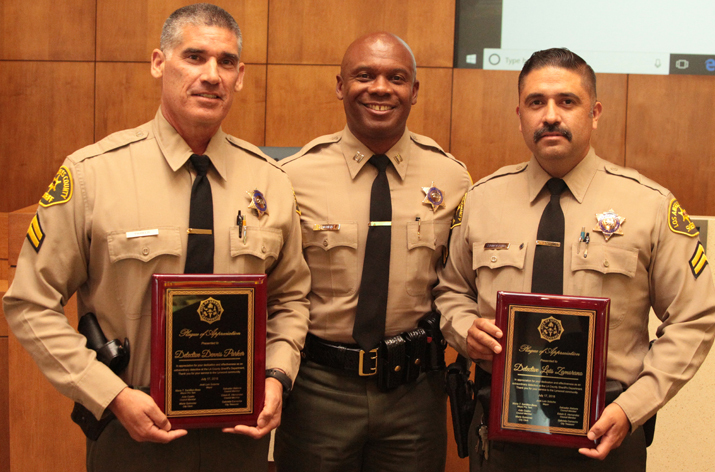 Dennis Parker and Luis Zamarano received plaques for their work in making an arrest in the theft of copper wire in Lynwood. The Sheriff’s Department said that finding those who were responsible for 40 different thefts involving $150,000 of valuable copper wire had been a priority for them.